The traditional tour for the annual C&OHS Conference was conducted on Friday, August 04, 2017. 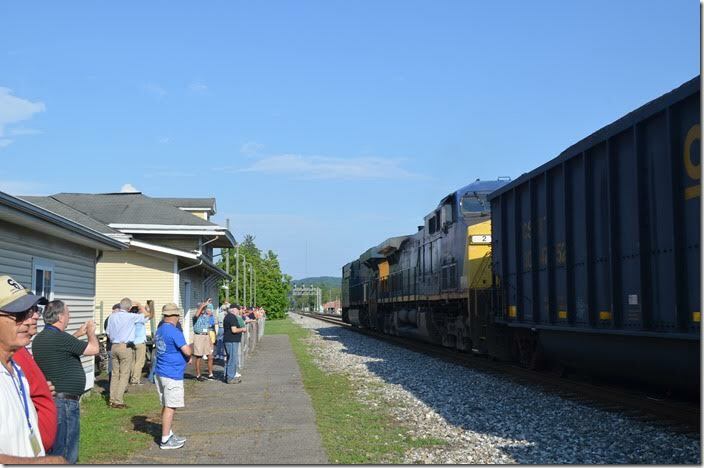 After departing Pullman Plaza Hotel in downtown Huntington at 8:00 a.m., the itinerary called for stops at St. Albans Depot (St. Albans C&O Modelers), Blenko Glass, H-6 1308 in West Huntington Park, Catlettsburg C&O depot, Ashland Amtrak station, and RU Cabin at Russell. 1. Almost on queue a coal train rolled west behind CSX 3033-2. St Albans WV. 2. 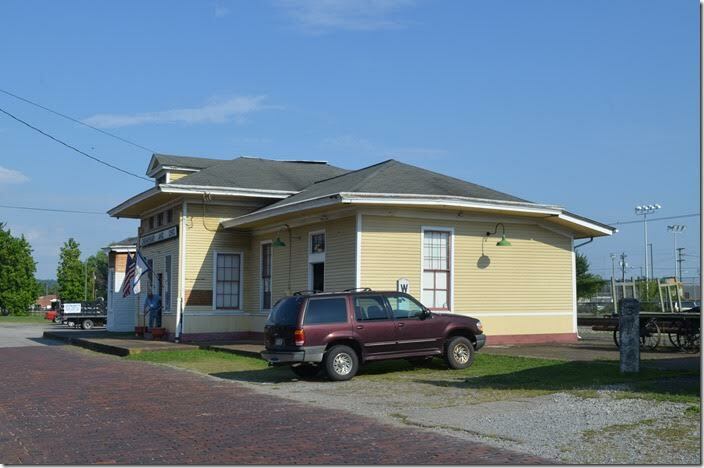 The street side of the former C&O depot. It is now a museum. The St. Albans C&O Modelers group had it open for our visit. St Albans WV. 3. 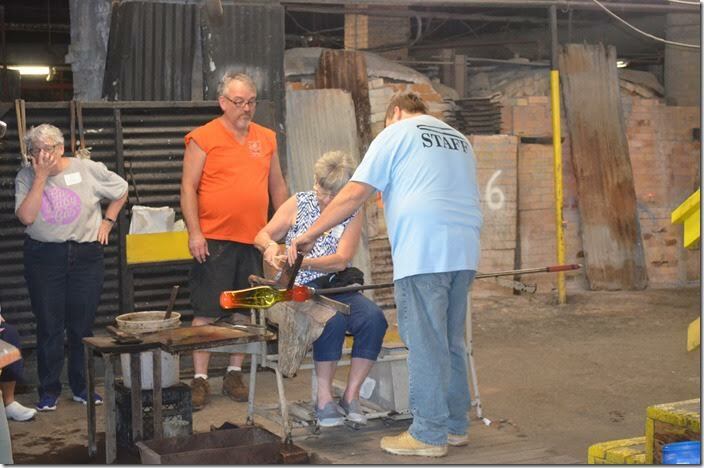 Our next stop was Blenko Glass Co. in Milton. 4. 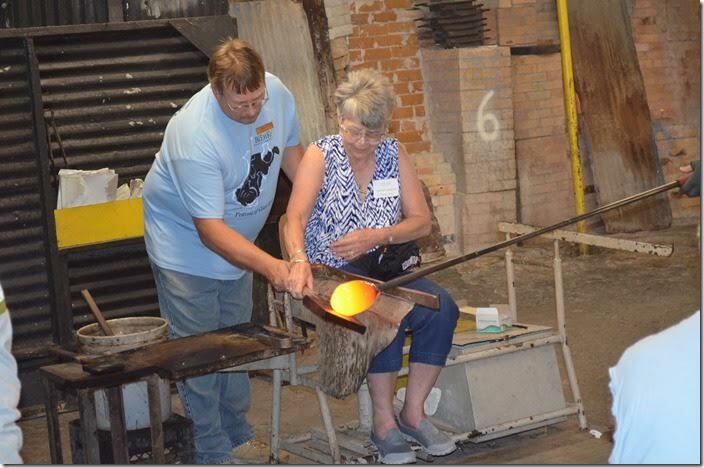 The art of glass blowing and shaping was being demonstrated hands-on to a group of visitors. 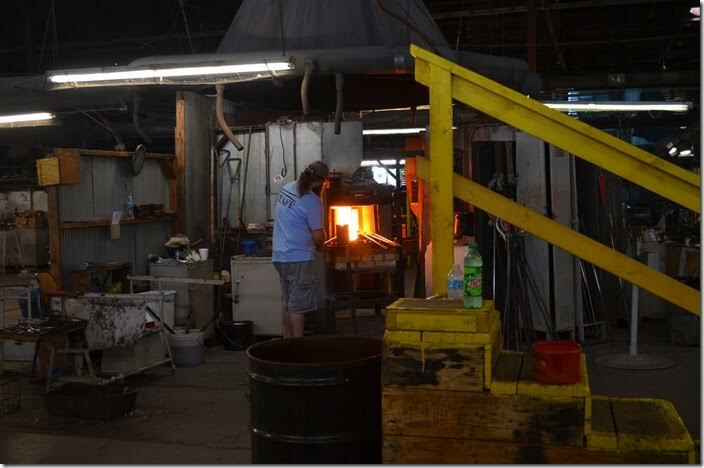 Blenko Glass. 5. Blenko did a hefty volume of sales to our group, I might add. Blenko Glass. 6. Blenko brochure 1. 2017-12-12. 7. Blenko brochure 2. 2017-12-12. 8. The next stop was the C. P. Huntington Chapter’s display in a park in West Huntington. 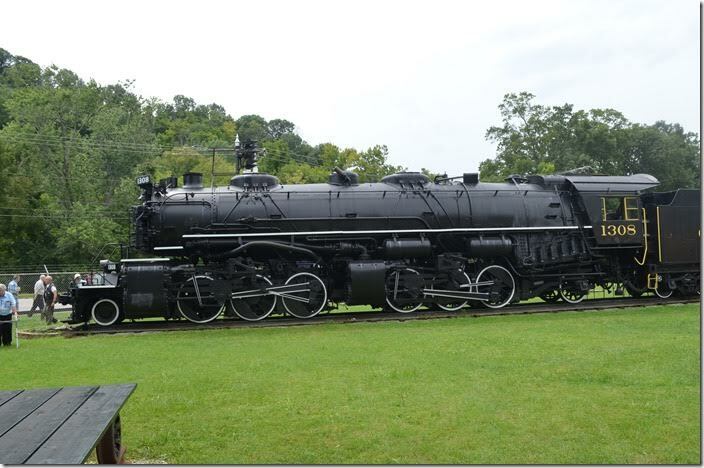 At the time we were hopeful that 1308’s sister would again see life on the Western Maryland Scenic Ry. (which we visited last year), but we all know now that this won’t be the case...at least in the near future. C&O 1308. Huntington. 9. 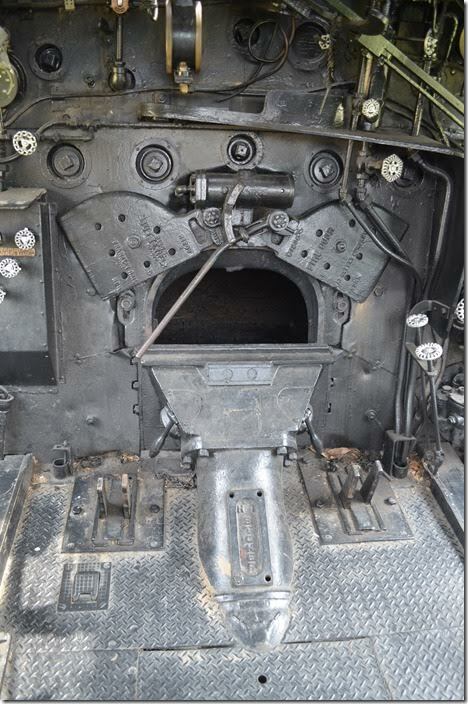 An ALCo Reverse Gear was specified on this Baldwin-built locomotive. 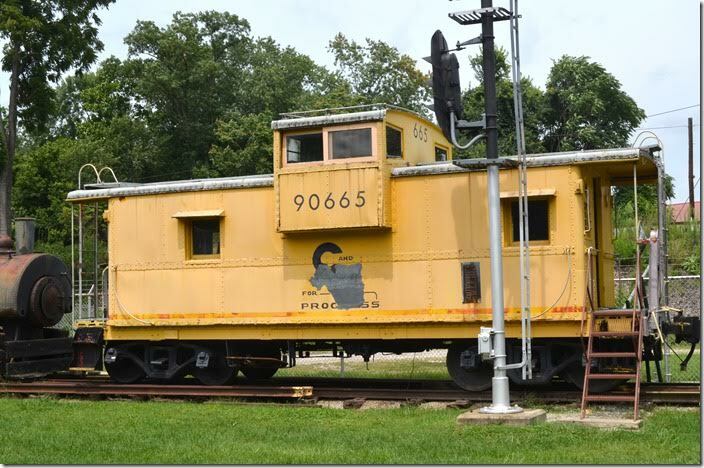 C&O 1308. Huntington. 10. 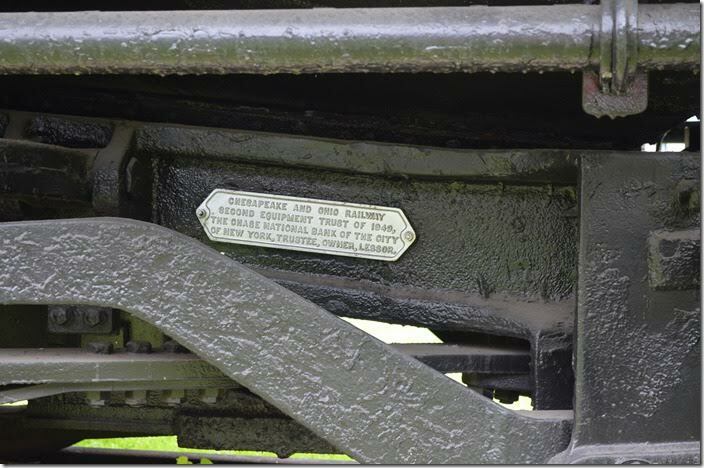 C&O 1308 Trust plate. Huntington. 11. 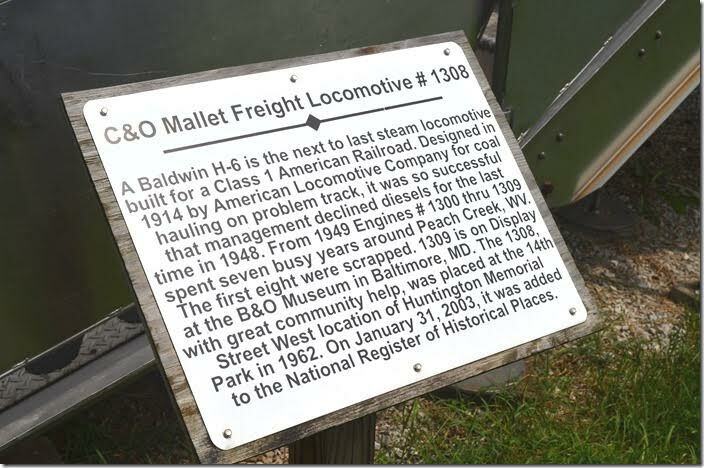 C&O 1308 plaque. Huntington. 12. 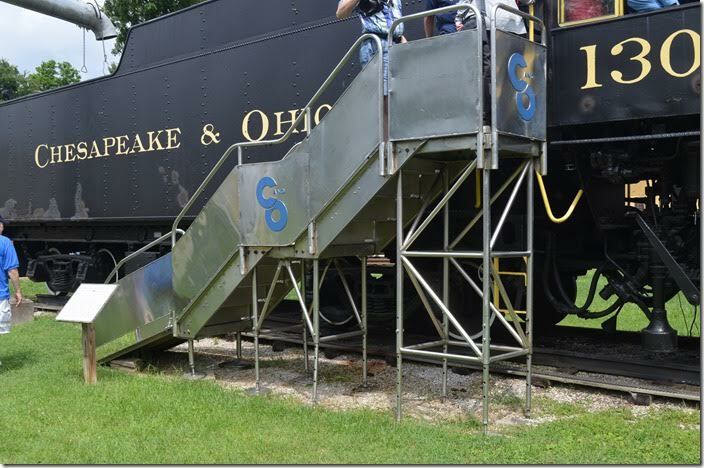 These steps were used to demonstrate the 500-series steam turbine-electrics to the public. 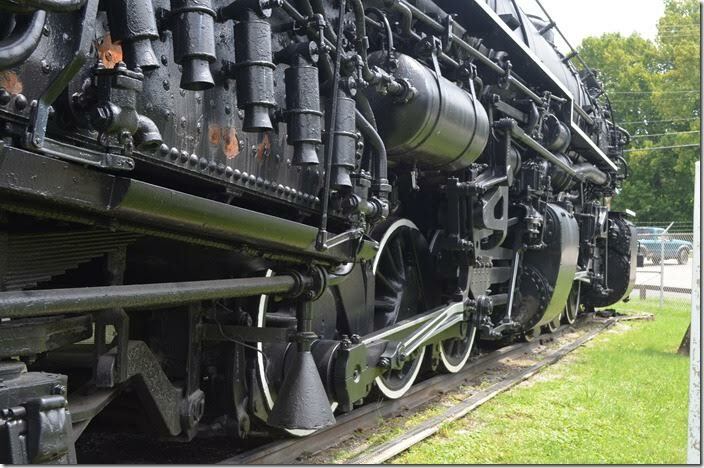 C&O 1308. Stairs. 13. C&O logo. Stairs. 1308. 14. 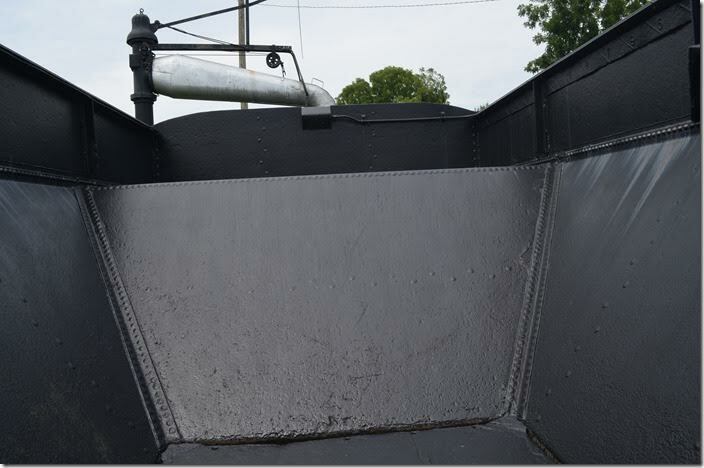 Back of the tender. 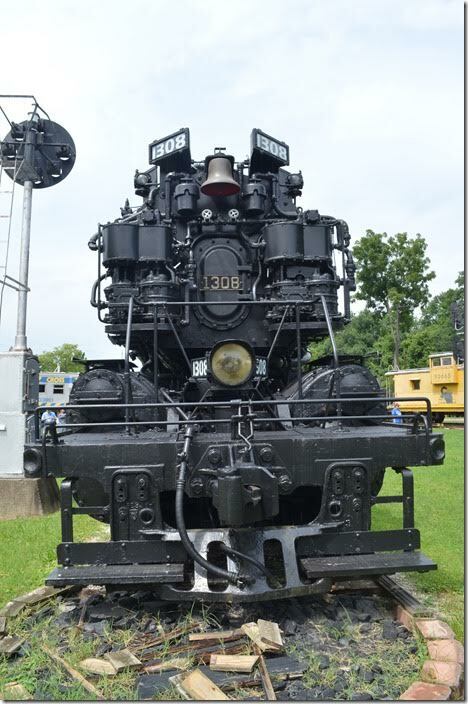 C&O 1308. 15. Engineer side controls. Most prominent is the automatic air brake (orange on the handle). C&O 1308 brake stand. 16. 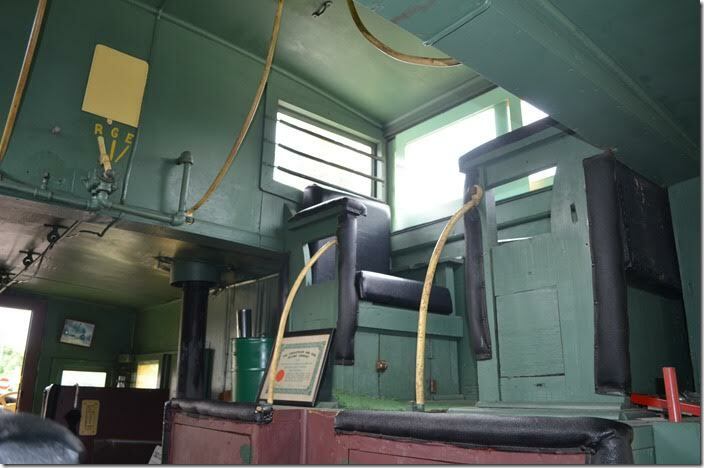 Seats for the fireman and head brakeman. 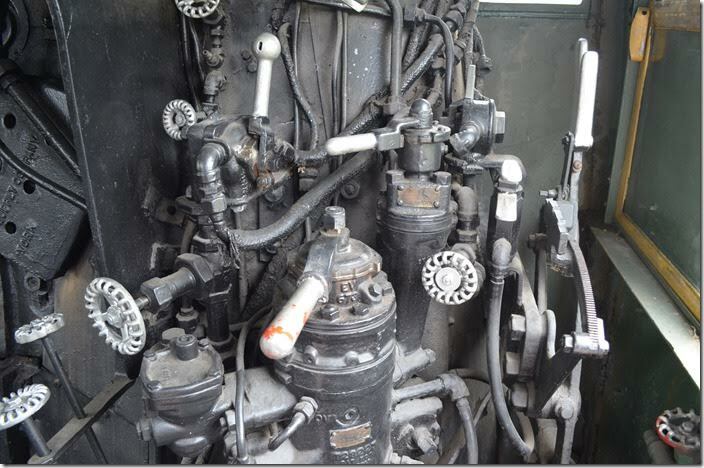 Grate shakers and injector lever. C&O 1308 fireman's side. 17. 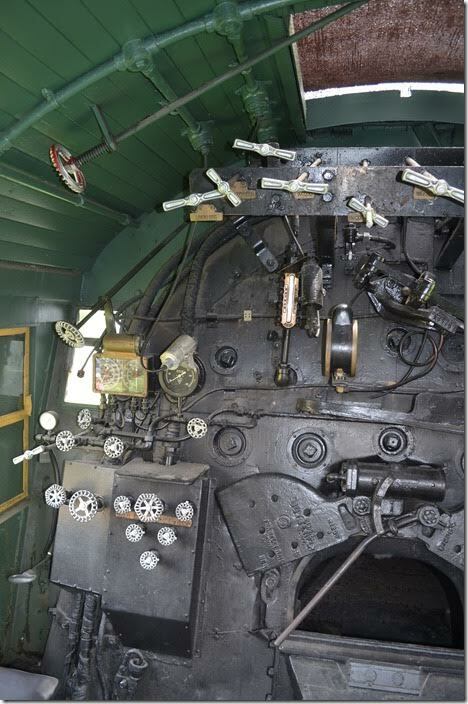 The triangular configured knobs are the stoker distributor valves that blow coal to various locations in the fire box. C&O 1308. Backhead. 18. 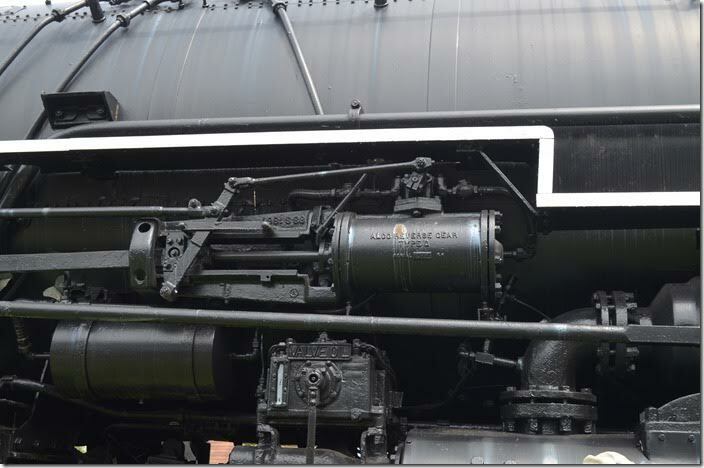 C&O 1308. Backhead. View 2. 19. Butterfly fire doors, stoker and grate shakers. C&O 1308 firebox door. 20. 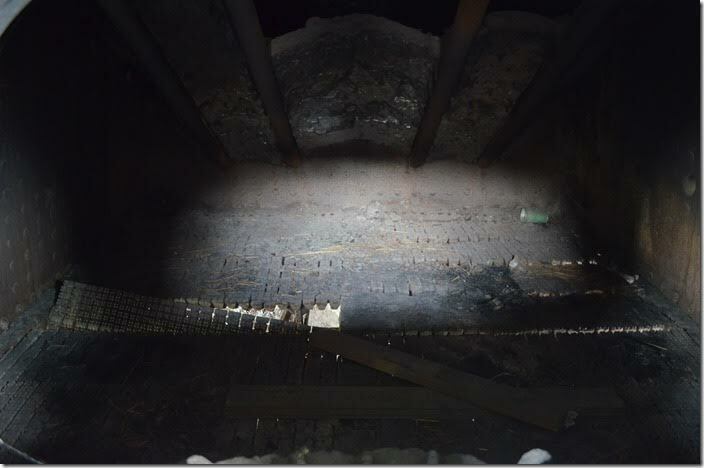 The firebox. C&O 1308 fire box. 21. Over-fire air jets and ash pan. C&O 1308 running gear. 22. 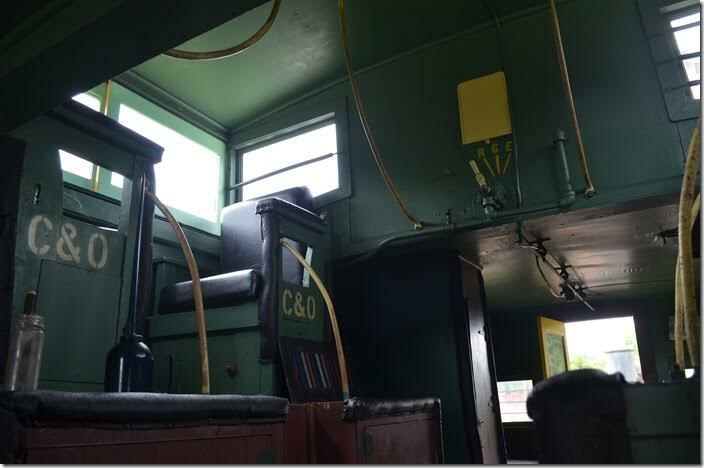 C&O 90665 was a one-of-a-kind rebuilt cab featuring an extended cupola. It was used out of Shelby in the early 1970's. Huntington. 23. 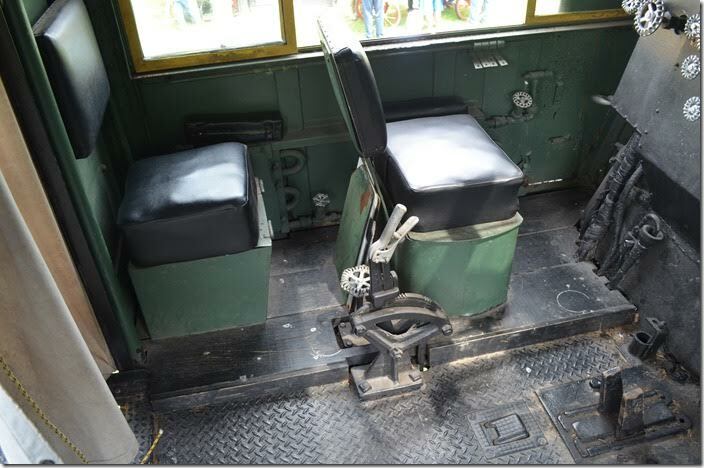 C&O cab 90665 interior. 24. 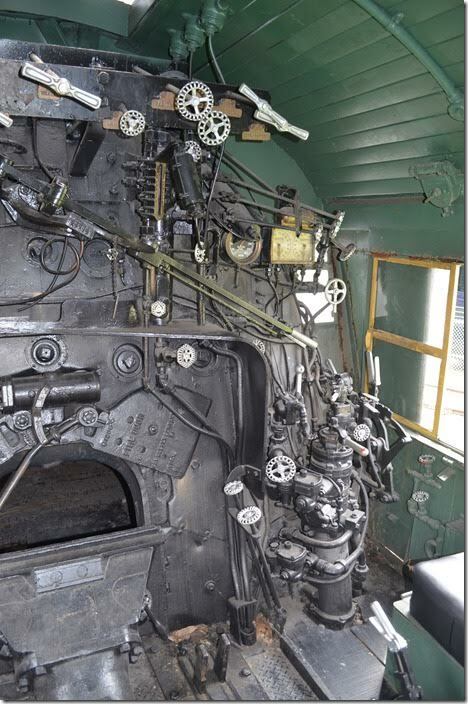 C&O cab 90665 interior. View 2. 25. 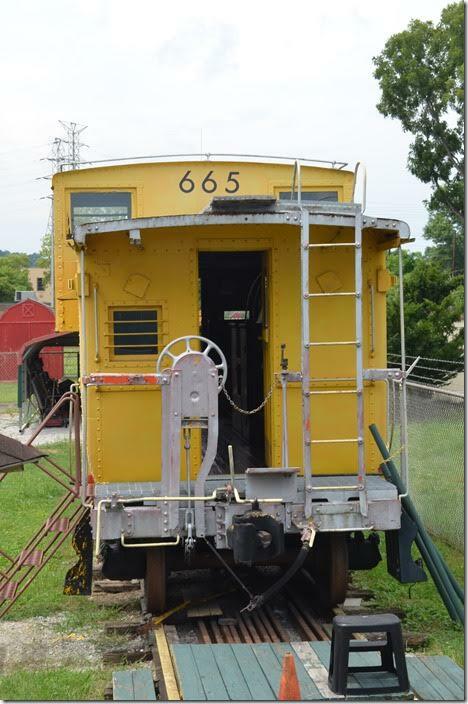 C&O 90665 Caboose. Huntington. 26. C&O 1308. Engine. Huntington. We ate our box lunch on the grounds. Time to load up and head to Catlettsburg. More on that later.